The classical Pilates repertoire developed by Joseph Pilates consists of 34 original exercises that are supposed to be executed in the same strategic order every single time. Many of these exercises are great, but not appropriate for all populations. Routine is also great, but can get boring in the fast-paced world we live in. We’ve found really effective ways to shake things up with our classes that really take Pilates to the next level, and are enjoyable and engaging for all participants. Keep in mind: these ideas are based on my experiences. Try a few things in your classes and with your clients and see what feels right for you. Some concepts will work and others will fall flat. You will do the best job when you teach what feels natural and comfortable to you. Supine, Side Lying, Quadruped, Side Lying, Prone, Quadruped, Standing (and use them in this order). For each of the key exercises listed below your best bet is to create a sequence that gradually builds in challenge and intensity. You don’t have to do the entire variation sequence at once. Give your class breaks as needed. What are some key elements you consider when designing your Pilates classes? Good class design starts with student-focus! What was my class doing all day before I got them? Last winter, I had mothers, teachers, and post-retirement folks in a small class of 6. Super active, but so many injuries! With 9 weeks to play with, I’d just mention how certain exercises would improve shoulder strength or hip mobility, hints for different injuries that my students had. Those little hints along the way made all the difference! Students came up to me after class to thank me for not ‘putting them on the spot’ or singling them out because of an injury. 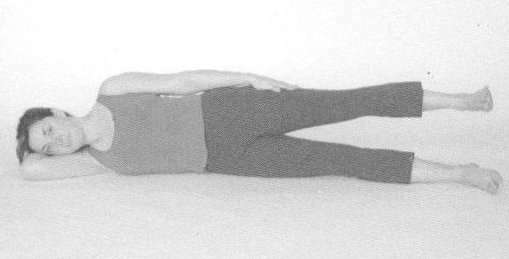 Bridge and Side Lying Hip Ad/Ab are especially wonderful for warming up before my morning walks. Great Post Margot! It is good to read and be reminded that you do not always have to get fancy and do all the hard exercises. Basics can be a good work out as well! I always try to use the foundations in my classes. Great, reminder, Margot, for designing all levels of classes, especially for beginners. It’s helpful to be reminded of the basic principles. I sometimes forget them when I’m seeking more complex knowledge and challenging exercises. I have tried the original made by Joseph Pilates himself but it indeed gets boring when you have done it several times. Thanks for sharing this. Now I have something to look forward to in doing. I exercise at home with videos but when feeling lonely, that would be the time when I go to the studio. Hi Margot, I was in your class Saturday at the Yoga Show and enjoyed it immensely. In going over the notes you gave I cannot remember what the Hip Fold Series was. Was this just raising one leg at a time with bent knee? Please explain. Thank you. To make this great exercise into a series, you can add repetitions and variations.